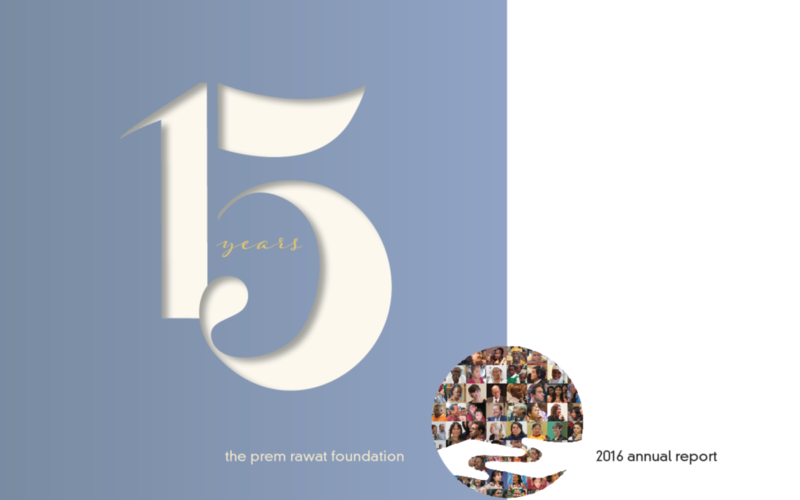 2016 marked the 15th anniversary of The Prem Rawat Foundation (TPRF), and the newly released Annual Report highlights how the year was filled with accomplishments worth celebrating. The report shows that in 2016 TPRF was able to help more people than ever before live with dignity, peace, and prosperity. 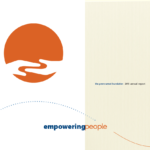 The Peace Education Program (PEP) was presented more than 779 times to over 9,000 people in 59 countries. From educational institutions and community centers to law enforcement organizations and correctional facilities, the program had a powerful impact on diverse groups of people. 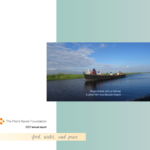 For the last 15 years, TPRF has sponsored events with its Founder Prem Rawat to promote the understanding of individual peace as the basis for world peace. 2016 was no exception, as TPRF supported forums in Europe, Africa, Southeast Asia, and South America. For example, TPRF partnered with the Tutu Foundation UK to co-host an event at the British Film Institute with Prem Rawat and a distinguished panel of leading voices in criminal justice. The discussion highlighted the potential of PEP to reduce inmate recidivism and reached thousands of people via a live video stream. Other Peace for People initiatives included a video outreach campaign in support of the U.N. International Day of Peace that attracted more than 4 million views. The Food for People program (FFP) continued to expand, providing 379,472 nutritious meals to children and elderly people in need. That’s up from roughly 304,000 meals the year before. TPRF added two new schools to the program in Nepal, where rural residents continued to recover from devastating earthquakes. In Ghana, a school of orphans was added. In all of these areas FFP continued to have a remarkable impact on health, scholastic performance, and economic outlook. The Annual Report shows that TPRF’s success is built on the strong grassroots support from individual donors in over 50 countries. 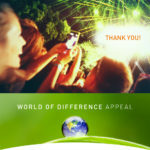 From its inception in 2002 through 2016, over 11,000 unique donors contributed $25.5 million to support TPRF programs and initiatives. Of these, 2,600 regular monthly, quarterly, or annual donors have provided a median donation of $40. View the complete 2016 Annual Report here.